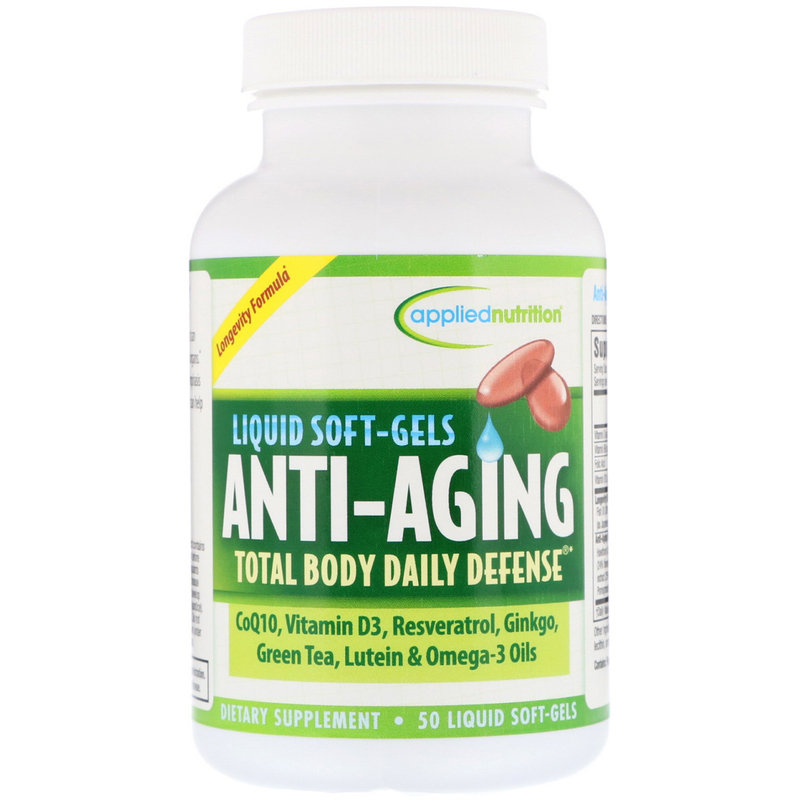 Anti-Aging Total Body Daily Defense is a formula that can nourish and support the body's cells, tissues and vital organs. Focusing on the heart, brain and eyes, plus a strong emphasis on cellular revitalization, this multi-approach product can help fight the inevitable effects of the aging process. We understand that it can be burdensome to take numerous pills every day, so we created this all-in-one product that combines key nutrients into one innovative formula. 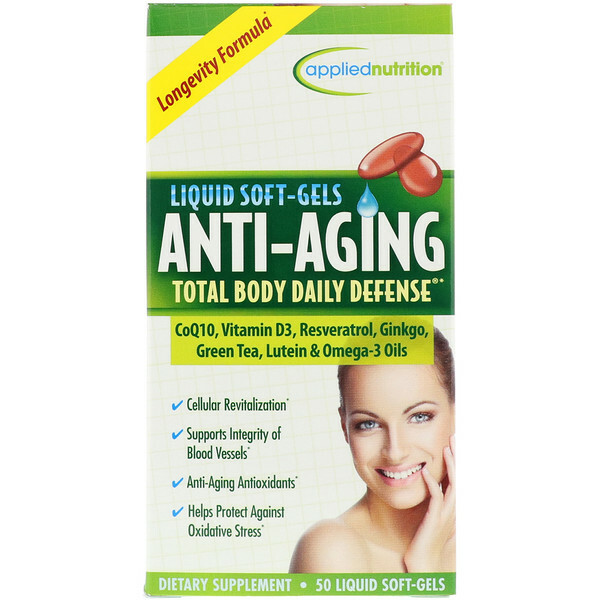 Anti-Aging Total Body Daily Defense delivers powerful health benefits in just 2 Liquid Soft-Gels per day. In addition to a quality multivitamin and a wholesome diet, this may be the only supplement you need to help support your health and well-being as you age. 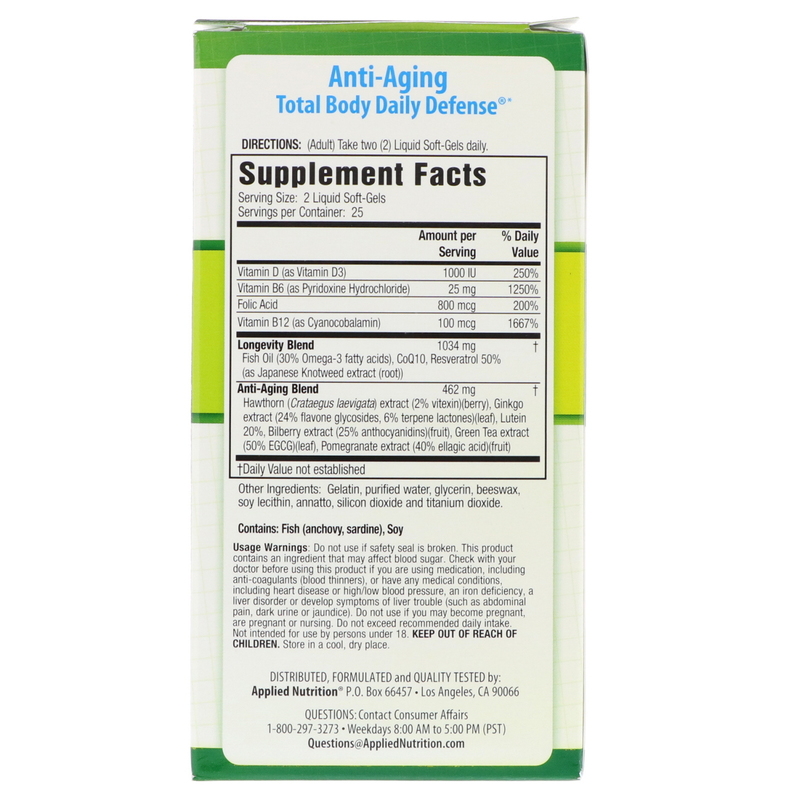 Anti-Aging Total Body Daily Defense helps to counter the effects of aging while supporting whole body health. Fish Oil supplies Omega-3 essential fatty acids for the maintenance of whole body health. CoQ10 is found in virtually every cell in the body and is required for cellular energy production, especially in the heart and brain. Hawthorne Berry is traditionally used to support the integrity of blood vessels and strengthen heart muscle. Ginkgo supports blood circulation throughout the body as well as cognitive performance and memory. B6, B12 and Folic Acid support a healthy homocysteine pathway, while also supporting heart health and cognitive function as we age. Vitamin D is emerging as one of the most important nutrients for whole body health and provides specific benefits in areas affected by aging. Lutein is highly concentrated in the retina of the eye and helps protect against oxidative stress. Gelatin, purified water, glycerin, beeswax, soy lecithin, annatto, silicon dioxide and titanium dioxide. Usage Warnings: Do not use if safety seal is broken. This product contains an ingredient that may affect blood sugar. Check with your doctor before using this product if you are using medication, including anti-coagulants (blood thinners), or have any medical conditions, including heart disease or high/low blood pressure, an iron deficiency, a liver disorder or develop symptoms of liver trouble (such as abdominal pain, dark urine or jaundice). Do not use if you may become pregnant, are pregnant or nursing. Do not exceed recommended daily intake. Not intended for persons under 18. Keep out of reach of children. Store in a cool, dry place.